Booking: Brighton Artists, Beverly Hills Calif. Sounds amazing! Clean pressing. Dynamic with a nice sound stage. It has a full, warm and rich sound. This one was done right! Playing this over a big system I immediately noticed it bumps with rounder low end, juicy mids and clear highs than most of my other records. Great pressing! This repress sounds amazing! Whoever pressed this, you deserve a medal! Why are people selling this for crazy high??? I literally bought this EXACT version (matrix/runout confirmed) at Walmart yesterday for $5! Could double as a funky soundtrack to an R-rated video game. Great album. One of Prince's highligts especially "I wanna be your lover" (and please don't listen to the short version) and "when we're dancing close and slow". This is quite a different Prince though then from "1999", "Purple rain" and onward, but all the more enjoyable. Don't know why they are sold for such incredible prices (other than that the artist has just passed away) I see prices range from about €8 (Mint condition) to an incredible €527 (ok that's a Japanese pressing complete with OBI a CD (most expensive LP is €500 from and that's the normal Warner bros release) . 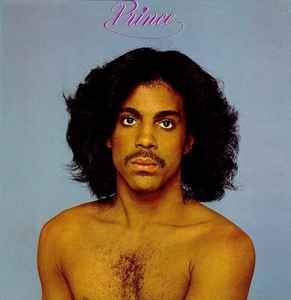 but if you're a true Prince "connaisseur"like me you bought it many, many years ago (in 1981 in my case). Prince's entire discography is being reissued chronologically. They just put out some really nice new copies of For You. This one is next. Just hold out, y'all. just spotted a pre-order for a reissue of this classic on wax. Late May! Just to say shame on traders cashing in before the man's even in the ground. If you want to further contribute to an ever closer soulless world, be a dumb schmuck & pay over the odds if you please. Bought my 3rd OG U.S copy of this last year for £25 here on the oggs, unplayed condition.